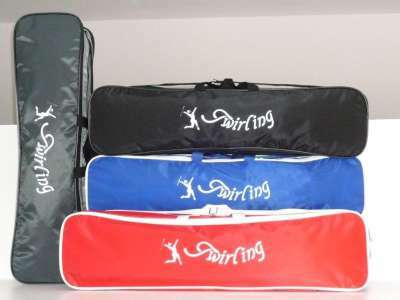 These nylon bags - Twirling - large model with three (03) zippers holds up to several batons 32 inches long. Have hooks for straps. They are available in a variety of colors.